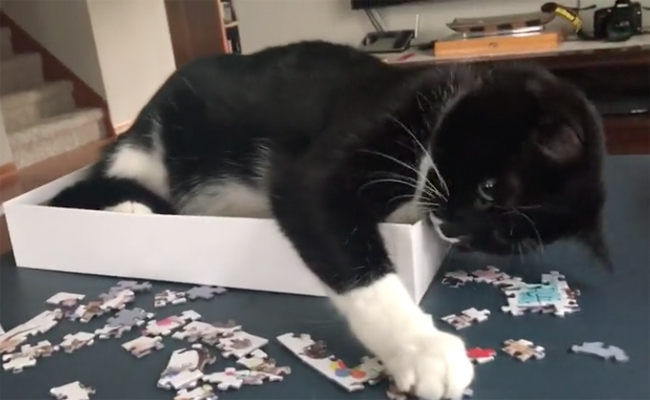 Despite his enthusiasm, Osvald the cat just isn’t the best assistant when it comes to solving puzzles. Cats seem to play with anything. My cats think that they can chew them into the appropriate shape! My cats that they can chew them into the appropriate shape! I think the kitty just wanted the box to be empty!